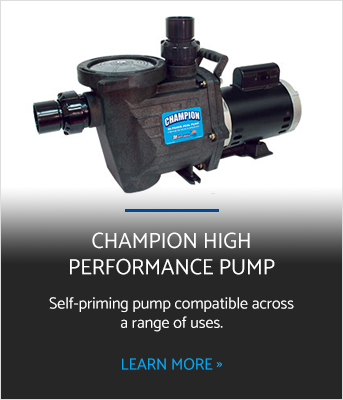 The Elmira Pump team brings the expertise you expect and works together to ensure quality design and sales integrity. As a family owned and operated business for over 35 years, we understand the value of a great staff. Jim Germann has 25 years experience in the wastewater treatment field. He was the Water Treatment Manager for Kuntz Electroplating Inc. for 15 years and was directly responsible for all the day to day water treatment operations including designing, fabricating and installation of all new process equipment. Other duties also include evaluation and pilot testing of new technologies. On numerous occasions, Jim served as Kuntz Electroplating’s representative when dealing with MOE (Ontario Ministry of the Environment) and EC (Environment Canada). Jim also served as Industry Representative on round table committees dealing with environmental issues. Jim is a community oriented individual that believes in the importance of helping out whenever possible. Jim served as a Lieutenant with the Elmira Fire Department, recently retiring after 20 years service. As well as a volunteer, acting as the Fundraising Chairman for Muscular Dystrophy, as well as fundraising efforts for United Way. Joe Kuntz is a very “hands on” businessman that takes a great deal of pride in getting the job done right! Joe has 19 years experience in the automotive manufacturing sector. He is a licensed tool & die maker and licensed millwright with successful completion of all post-secondary related courses for both trades along with CTECH certification. Andrew Germann is a man who takes accountability for his action and is a very productive individual. He has 15 years of experience being a pump technician and now is the plant manager at Elmira pump. He is a licensed millwright and has related post-secondary course certification. Bird Germann has been in the field of accounting for over 30 years. She is responsible for accounts receivable; payables; payroll and human resources department . As with all family operated businesses, Bird also steps in and provides coverage in purchasing; shipping/receiving departments; reception and order desk when necessary. Josh Germann has worked in this field for more than 5 years, and is comfortable working in highly critical, fast paced environment which has shifting priorities. As all-rounder, he has experience of pipe fitting, centrifugal pump repairs and all industrial wastewater treatment systems. Robert Germann a capable, proven electrician who has extensive experience of carrying out maintenance, troubleshooting and installation of electrical components and system. Rob has been with Elmira pump for 8 years and is a licensed millwright.